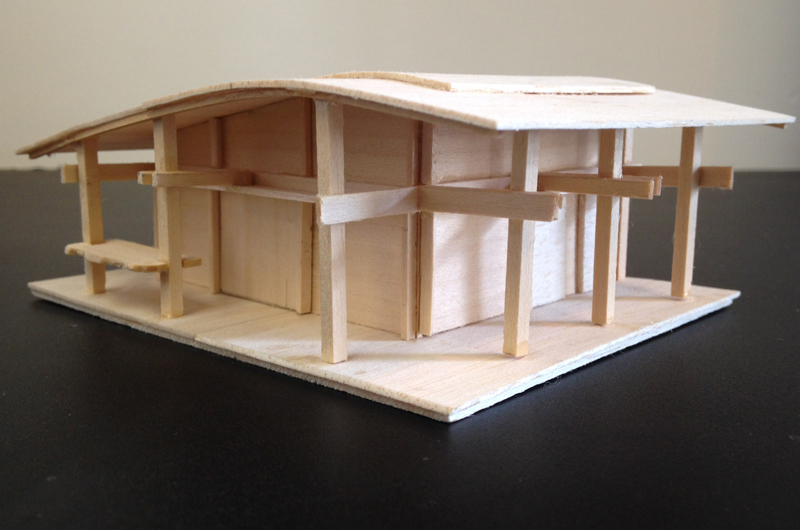 Over the weekend, I built a model of a small house for a property in Kenepuru Sound. The first model I’ve made for probably 15 years. And the first house I’ve designed with a curved roof – a request from the client, though I think it works fine. I’m looking forward to this tiny building being built. Does 50m2 qualify for being a micro-house? Though with decks and roof overhangs, it grows to a more substantial 165m2. But wouldn’t it be nice to prefabricate the whole thing and float it on a barge from Picton to the site? Aldo Rossi did something similar in Venice last century, as part of a Biennale. There’s something cinematically romantic about such an idea.